Potential Home Buyers: What Price Home Could You Buy for $1000 Monthly Mortgage? Do you know the impact your interest rate makes? Interest rates have come a long way in the last 30 years. At current interest rates what price home could you buy for a $1000 monthly mortgage payment? The Infographic below illustrates a potential home buyer who wants to keep their mortgage payment around a $1000 a month and how much home they can afford. CoreLogic predicts a 5.3% appreciation in home prices in the next 12 months. Freddie Mac predicts an increase of a full percentage point in interest rates. 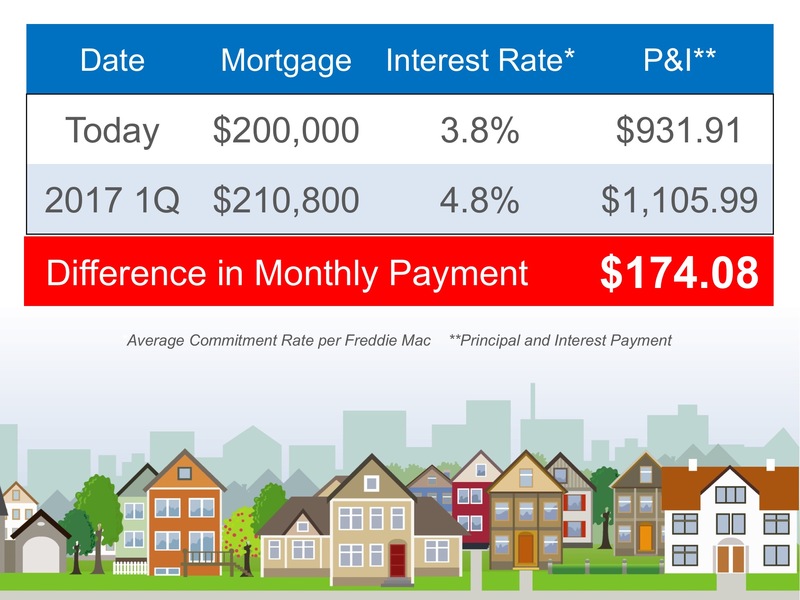 The chart below illustrates the impact of a rise in interest rates on the cost of a monthly mortgage payment. Call Finding Homes for You at 636-532-4200 for more information and jump start your home search today!